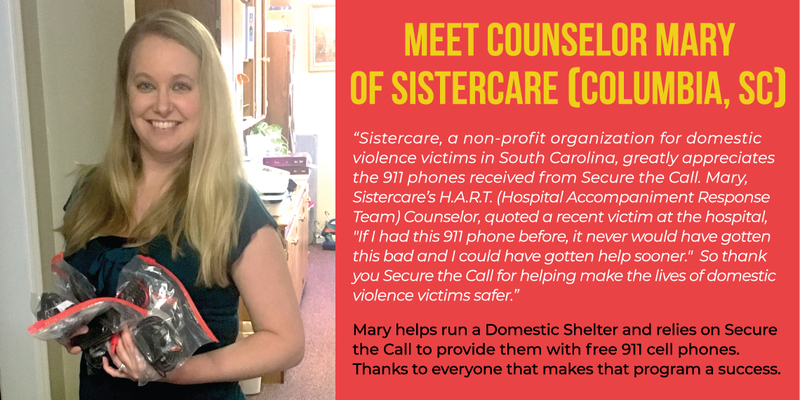 Secure the Call is a 501(c)(3) charity that provides free 911 emergency-only cell phone to Domestic Violence Centers, Senior Citizen Centers, Police and Sheriff departments. The phones we provide our “community partners” are in turn given back to the community and used to contact the Police in the case of an emergency. Throughout the USA, we work with over 400 community-based organizations and law enforcement agencies to provide them free phones that they use to help make their neighborhoods a safer place to live, work and play. 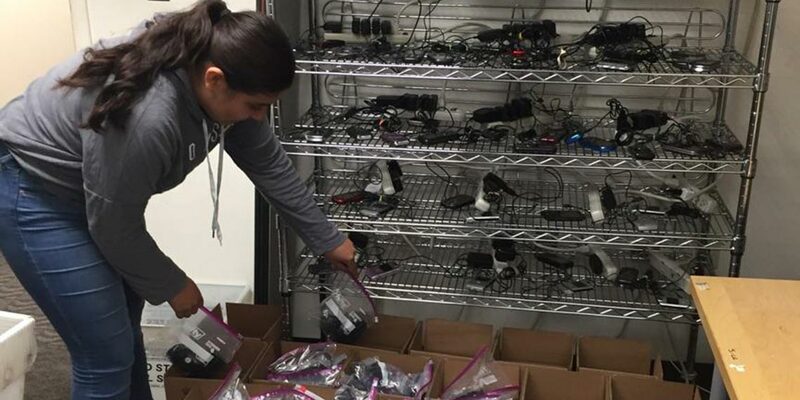 After we collect the phones, High School kids (in Maryland – a requirement for graduation is to that have 65 hours of community service with a non-profit) then prepare the phones for 911 only service. Part of this process is to completely wipe the phones of all previous owners info and crush any SIM and memory cards found. 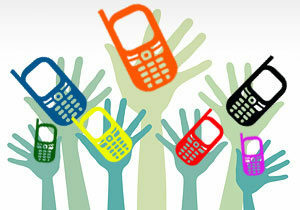 There are tens of millions of people in the USA that do not have or can’t afford a cell phone. 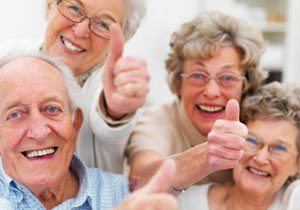 Our goal is to provide anyone that needs a phone the ability to call for help when there’s an emergency. But we also have a second goal. To keep as many cell phones out of the landfills of America as we can. 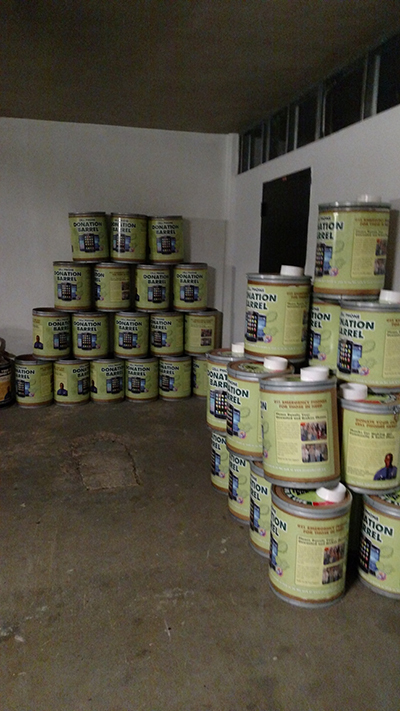 Our motto: Recycling Phones for a Safer Community! 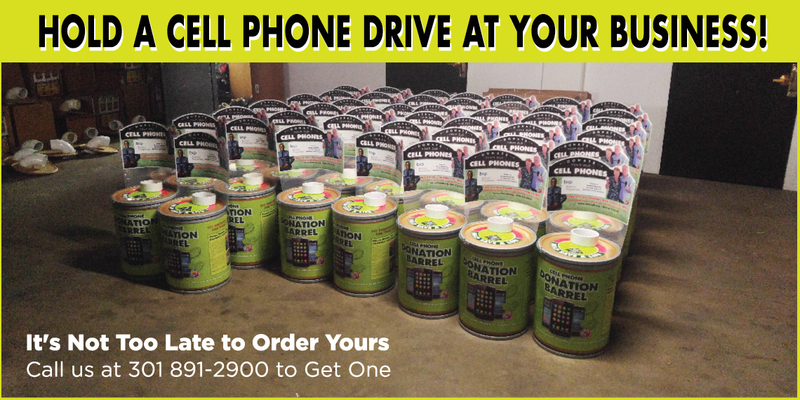 About 20% of the phones we distribute came to us because someone decided to host, stimulate or find someone else to sponsor a four-week phone collection drive. The idea is simple. Somewhere close to you within your community is a supermarket, a library, a bank or a large office building; a place where a lot of people come to every day; a place where the same people return to again and again. If we could place one of our collection barrels in such a place, chances are good that a month later we would have collected a lot of phones. Hosting a drive is easy. We’ll do most of the work. 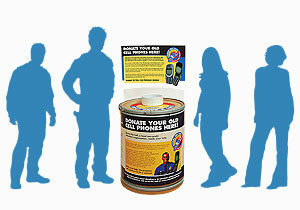 If you think the location of your drive is big – we’ll send you one our cell phone collection barrels. Along with the barrel – we’ll send you literature that you can use to promote the drive. When the drive is over, simply put the barrel back in the same box that we used to send you the barrel and ship it back to us. Once we get back your barrel – we’ll make a count of the phones and let you know how you did. 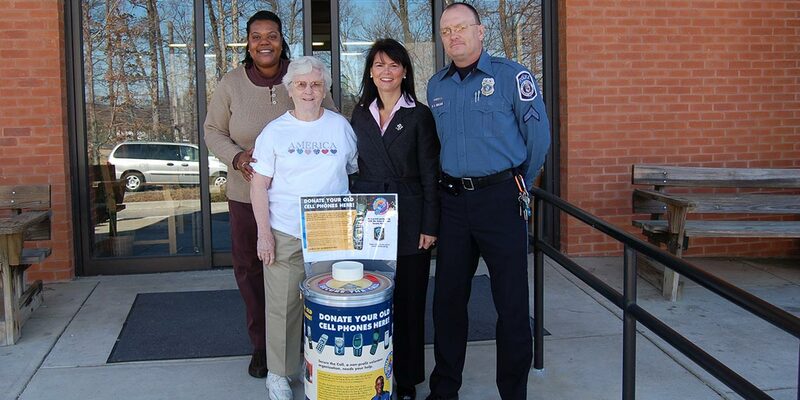 To host a drive – call us at 301 891-2900 or email us at info@securethecall.org. It really is simple to get involved. Grocery stores, Police Stations, Libraries, Community Centers, Cell Phone Stores and many more types of businesses are great locations to host a permanent barrel. For starters, we’ll customize the sign that goes on top of the barrel to let everyone know you’re helping out a great organization. When your barrel fills up (you’ll let us know) we’ll send out a replacement barrel along with a pre-paid return label. There’s never any cost to you to host a barrel. Please join the over 400 locations around the USA that help us out. As an all-volunteer organization, we rely solely on the generosity of the community for everything we do. Thanks to you – the program works!